We can reach out and touch the Civil War up close when the 3rd Annual Smoky Mountain Relic Show & Sale is staged in Pigeon Forge through the weekend of August 25-26. 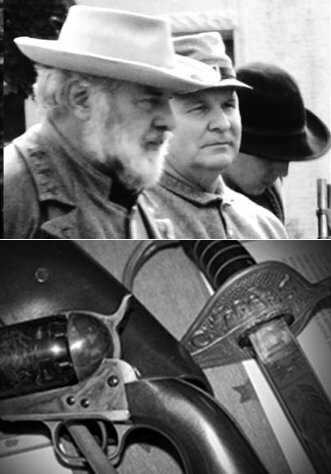 This event features authentic Civil War relics of all kinds, from weaponry to dresses, along with re-enactments and demonstrations by military and civilian groups, and presentations and stories of history by authors, actors and historians. There will be muskets, rifles, pistols, photographs, uniforms, artifacts, relics and collectibles both to admire and to buy. Popular musician, vocalist and humorist Ross Moore will again bring his beautiful mountain music from that age to the weekend event, adding his fine voice, wonderful humor and many of the 13 instruments he plays (which include 12 String Guitar, Hammered Dulcimer, Appalachian Dulcimer, 5 String Banjo, Mandolin, Dobro and Celtic Harp). Living History encampments featuring historically accurate representations of Union and Confederate military units will be present during the weekend, manned by the 8th Tennessee Infantry (US) and the 63rd Tennessee Infantry (CS). The show also presents Women’s Roles During the War Between the States, as told by Mrs. Lee, Mrs. Jackson, Mrs. Lincoln, Mrs. Stuart and Mrs. Marshall. On Saturday, Maury’s Artillery, a light artillery battery recruited from Maury County Tennessee, in 1862, will be on hand to create “Thunder in the Forge” from its full battery of cannons. Artillery demonstrations will begin at 10:00 am that day and continue each hour on the hour until the 4:00 pm firing. Other firing demonstrations on Saturday include a mountain howitzer and a Tredegar Mountain Rifle. Also on hand will be the beautiful replica of the famous Confederate submarine H. L. Hunley, which played a large role in the history of naval warfare as the first combat submarine ever to sink an enemy warship. The National Civil War Naval Museum from Port Columbus, GA will also be joining the show, bringing many articles and surprises from the museum. Additionally, there will be over 100 tables featuring a fantastic collection from relic hunters and traders from around the U.S. So come to buy, sell, trade or just enjoy to your heart’s content! The Smoky Mountain Relic Show & Sale happens on Saturday 9-5 and Sunday 9-3, August 25-26, 2012 at the Smoky Mountain Convention Center, 4010 Parkway, Pigeon Forge, TN (Past Light # 8). One ticket covers the whole weekend, $8 for adults, $4 for accompanied children. For more information see the Smoky Mountain Civil War Show web site.